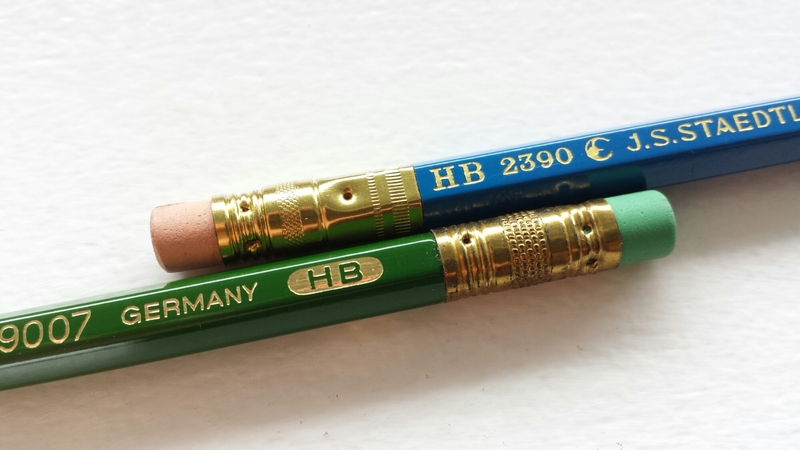 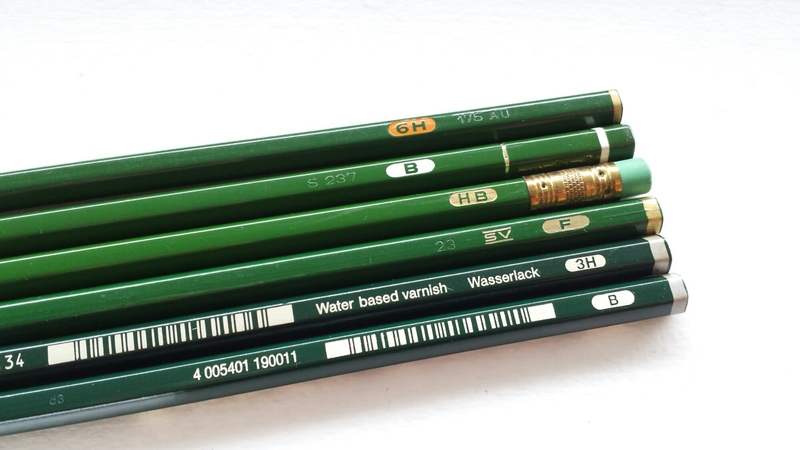 I don’t produce pencil stubs often enough to justify the purchase of pencil lengtheners, but I like them all the same. 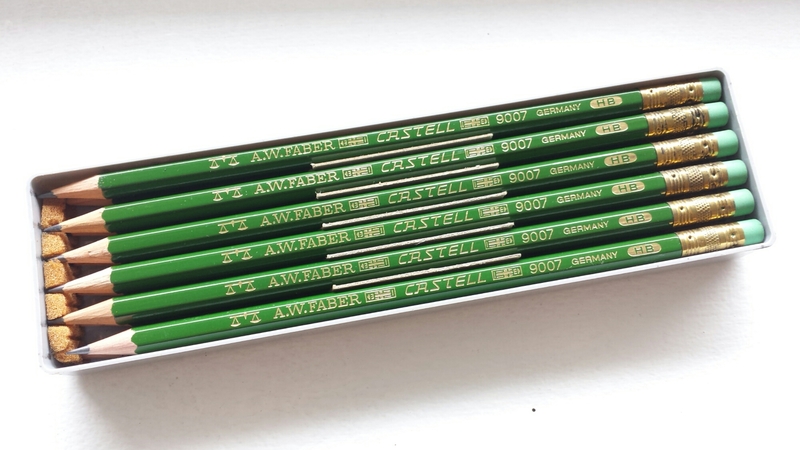 This is a plastic model in the same olive-green color as my Castell 9007s. 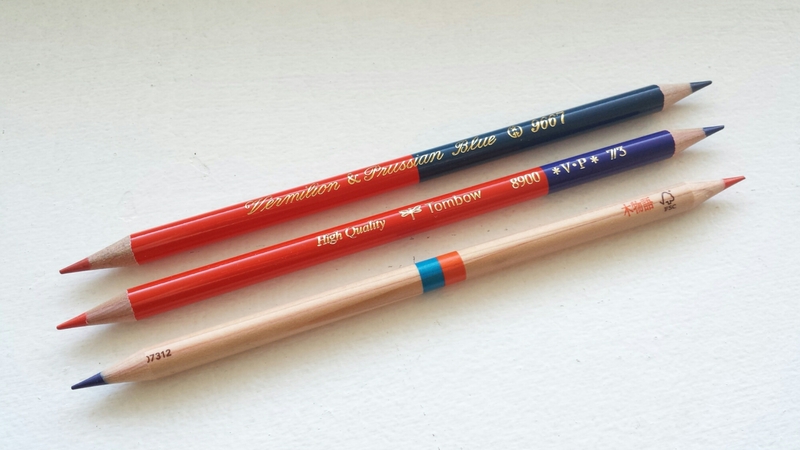 There are nicer ones made of wood (that I don’t have), painted in other colors, including a vivid red that looks like it was done by Caran d’Ache. 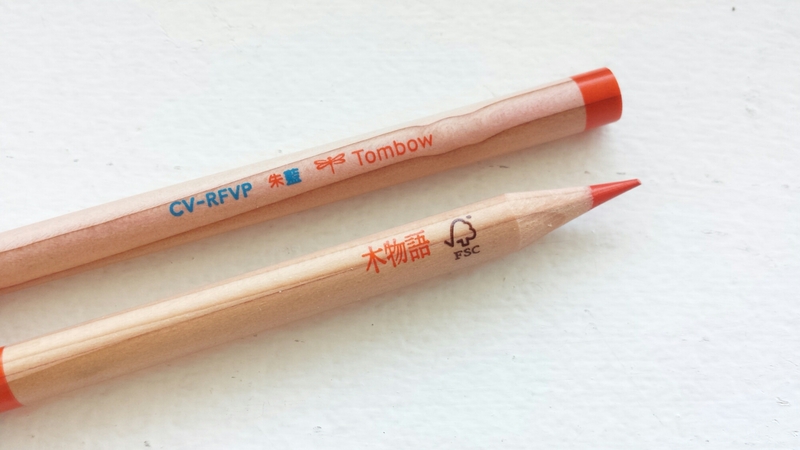 I’ll have to work on my Castells in order to get to this guy. 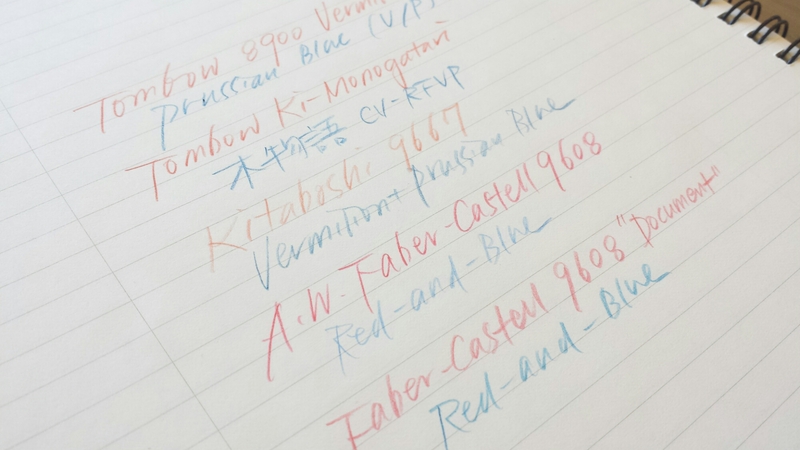 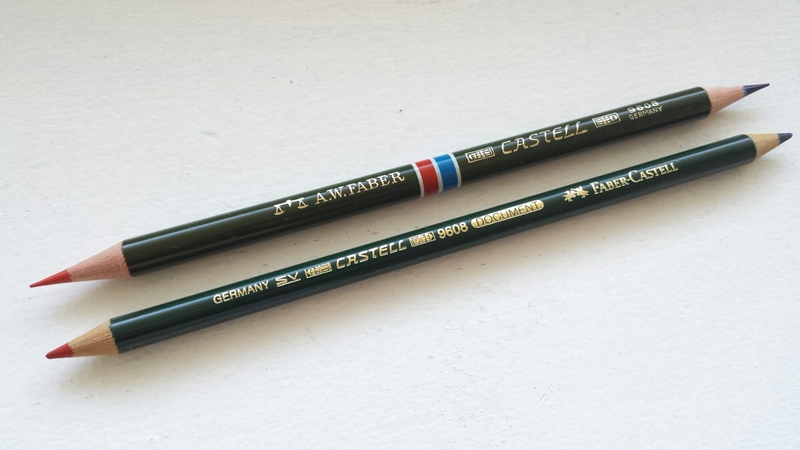 The Castell 9000 is not my favorite pencil, but I find myself attracted to variations of it. 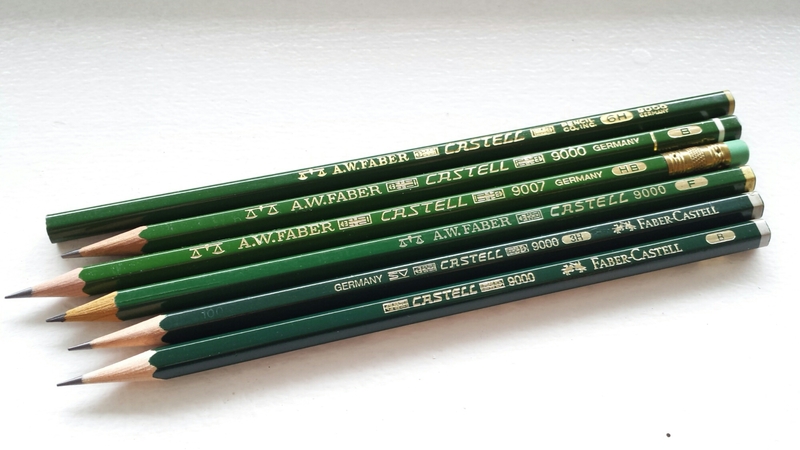 The Castell 9007 is simply the eraser-topped version of the classic 9000; nowadays it is assigned the same number (as is the Jumbo), but in the past it seems to have existed as a separate model. 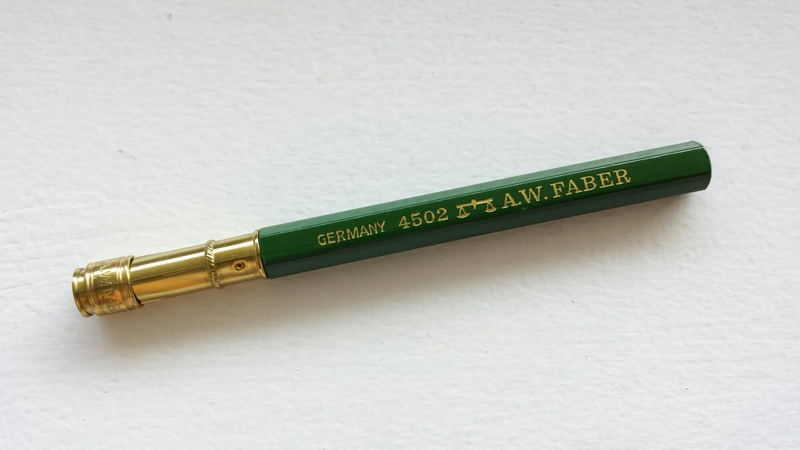 The specimens I have are old enough to sport the olive green (as opposed to the modern forest green) coat, but not old enough to incorporate the more attractive hexagonally fitted ferrule that adorns the Staedtler Mars Lumograph 2390.